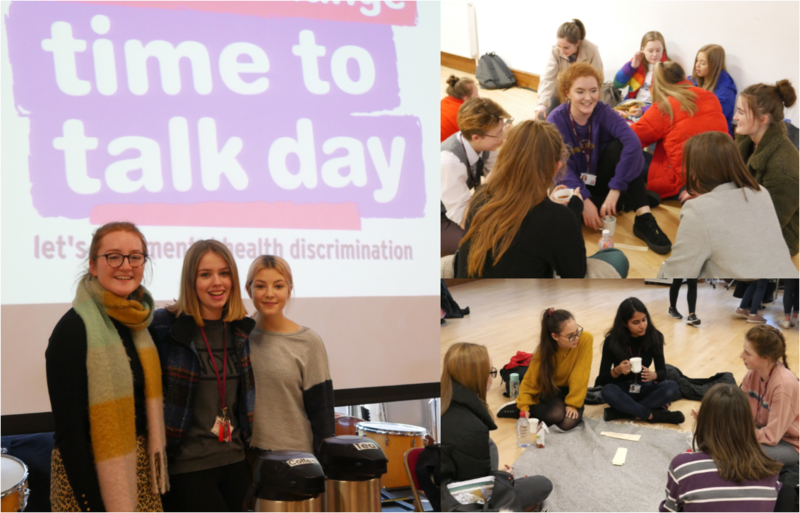 The LGGS Sixth Form team helped to organise a 'Time to Talk' event at lunchtime, on Thursday 7th February, for the charity 'Time to Change'. The aim of the event was to promote the importance of starting conversation about mental health and making sure that our classmates and peers know that they are in a safe and nurturing environment, from which there will always be help and support for them whenever they need it. We saw a successful turnout with approximately 40 students, made up of a mixture of Year 12 and 13. All of the girls enjoyed contributing to lively discussions about the issues regarding mental health within schools as well as everyday life. The encouragement of having frequent conversations about young people's mental health is very important, and we hope that the school will continue this event and similar activities in the future.